After hearing two remarkable stories about women who didn’t know they were pregnant until they were actually in labor, Dr Oz wanted to talk more about cryptic pregnancies. He was joined by chief women’s health contributor and OB/GYN Jennifer Ashton. The term they were using was “cryptic pregnancy” although it’s not an obstetric or medical term, it’s an appropriate term because it means that the pregnancy is “hidden” or “secret” from the woman. 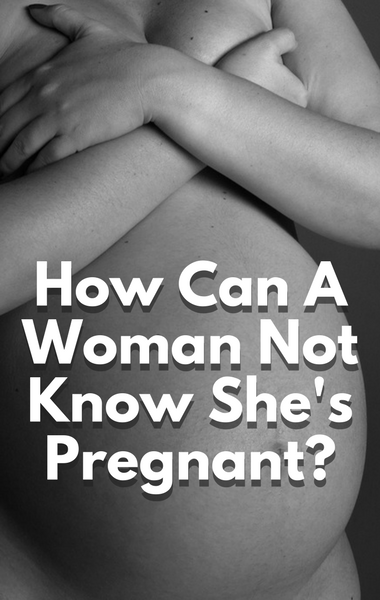 It’s certainly not the norm and it’s not known exactly why it happens, but it’s thought to happen in about one in 450 women who don’t know they’re pregnant until about 20 weeks. About one in 2500 to one in 7500 don’t find out their pregnant until their water breaks and they’re in labor. It used to be thought that the women who experience cryptic pregnancies were mentally ill or “detached from their bodies” but there’s plenty of proof that’s not true. Additionally, women who experience cryptic pregnancies are generally subjected to a big stigma and sometimes shame and embarrassment from people who wonder how they couldn’t have known they were pregnant.